The two pilots were instantly killed while the 3rd crewmember – who was sitting further back – survived but is in critical condition. 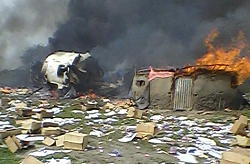 At least 10 goats are known to have been killed in the crash. According to local media the crew eventually having troubles lowering the undercarriage on approach. Ground witnesses reported the aircraft had to abandon a first approach when on the the 2nd approach it began to loose height abruptly until it impacted ground some 20 meters short of the unpaved runway. At the time the HS-748 was approaching the airstrip from the south. 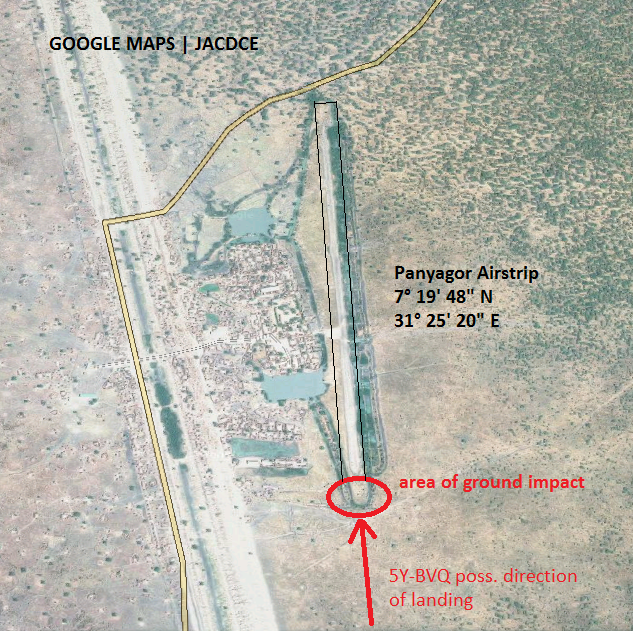 Panyagor airstrip is situated about 8 km north of Panyagor village as an unpaved „dust“ runway, direction 36/18 without any navigational aids. Runway lengh is about 750 meters. A criminal assault from the ground against the aircraft was ruled out. According to a local resident the aircraft abandoned its first approach because its nosegear failed to deploy. 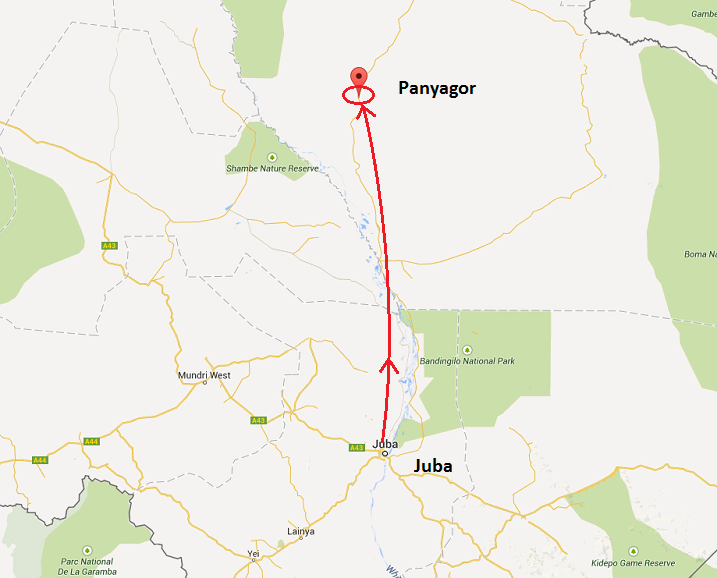 The aircraft was chartered by Lutheran World Federation for humanitarian flights to South Sudan.